Eugene Allen, a Virginia-born African-American, worked as a servant in the White House from 1952 to 1986. 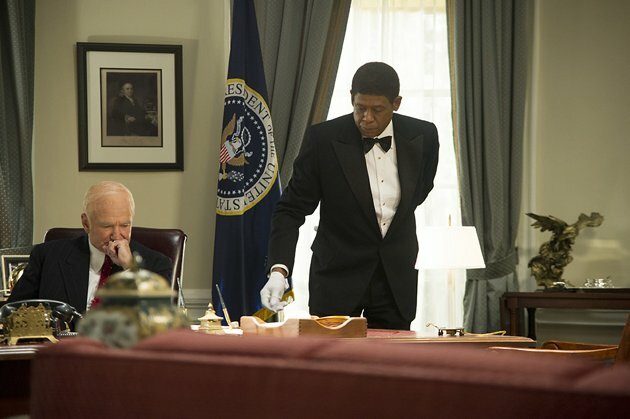 Forest Whitaker stars as Cecil Gaines, the lead character who is modeled after Allen in “The Butler,” a historical display that takes a front-row seat to important events in America during the third and fourth quarters of the 20th century. As Gaines, recalling Allen, Whittaker brilliantly plays out the role in parallel to the murder of Emmett Till; the integration of public schools in Little Rock, Ark. ; the further strife of the Civil Right Era, including the assassination of Dr. Martin Luther King, Jr.; the Black Power movement; the assassination of President John F. Kennedy; the Viet Nam War – finally ending during the second term of President Ronald Reagan. Six past presidents are included in the script: President Dwight D. Eisenhower (Robin Williams), Kennedy (James Marsden), President Lyndon B. Johnson (Liev Schreiver), President Richard Nixon (John Cusack) and Reagan (Alan Rickman). President Barack Obama is seen at the close of the film. The script is by Danny Strong, who also wrote HBO’s “Game Change,” which dealt with the 2008 presidential campaign. 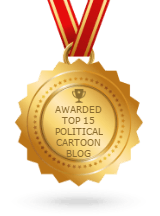 It focused on Sarah Palin as played by Julieanne Moore. Whoops Mr. Daniels, Robin Williams doesn’t look like Eisenhower. I’m sorry. I like Williams, but he looks so much unlike Ike, one might mistake the famous actor/standup comic for President Harry S. Truman in a movie one might see that dramatically relates to recent, domestic American history. 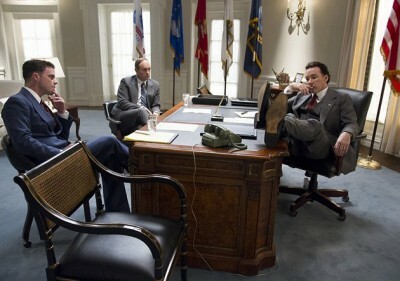 Williams as Eisenhower is a real stretch for me since I can remember both Ike and Harry S. quite clearly. 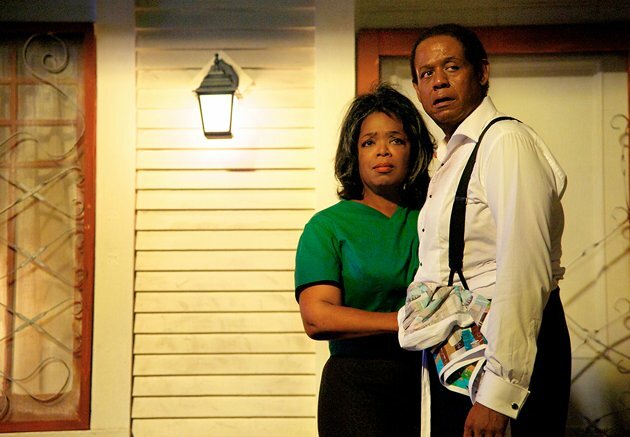 Oprah Winfrey and Forest Whitaker. Despite the suds of Daniels’ movie, he has an affecting production particularly for younger moviegoers who’ve only seen vintage black and white video and film of the actual events, and not having experienced them as current TV news coverage as elder Americans did. 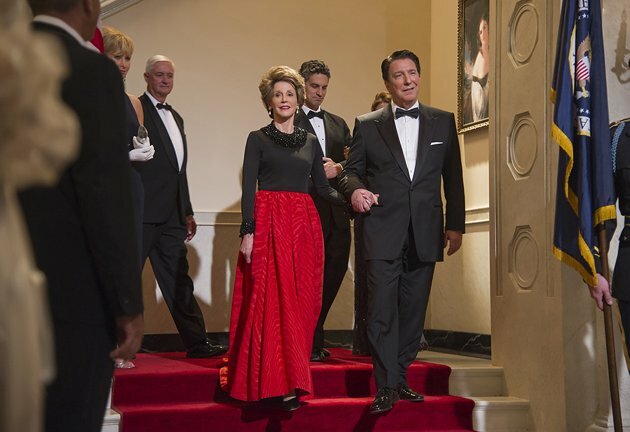 Noting a final curious casting strategy in “The Butler” that might be categorized as “Sweetest Revenge Role of the Early 21st century,” Jane Fonda plays First Lady Nancy Reagan. Ms. Fonda got the cameo down really well … body language and all in her bright red frock. Fonda’s father, the legendary Henry Fonda (“The Grapes of Wrath,” 1940) would be proud, I’m sure.